It’s the Year of the Dog and Disney California Adventure park at the Disneyland Resort is celebrating! The authentic spirit of prosperity and hope for the Lunar New Year abounds at Disneyland during this yearly multi-day festival of Asian culture. When. Disneyland Lunar New Year celebrations take place from January 26 through February 18, 2018. Event highlights include popular characters in Lunar New Year traditional outfits, beautiful decor, kid-friendly craft activities and incredible live performances. Guests visiting the Parks during this time should make time in their schedule to experience at least some, if not all, of these celebration events. Who. Naturally, who should be the representative for the Lunar New Year “Year of the Dog”? None other than Pluto! His face graces the banners hung through the area. You’ll have the chance to meet Pluto here, as he’s frequently found roaming around the guests. Where. The Lunar New Year celebration takes place in the Paradise Pier area of Disney California Adventure, starting just after you pass the Little Mermaid: Ariel’s Undersea Adventure. You can’t miss the towering gold and red archway and the hundreds of stunning red ornamental lanterns decorating the area. Nearly every inch has been transformed for Lunar New Year, with traditional decor including firecrackers, flowers and hanging lights. Character Meet and Greets. Look for Disney Characters celebrating the Lunar New Year, dressed in traditional outfits. You’ll find Pluto greeting guests at various locations throughout the Paradise Garden area. Mulan and Mushu were available for photos with guests during our visit. Mickey, Minnie and Chip ‘n Dale will be available for photos and autographs here too, wearing their traditional costumes. Wishing Wall. Visit the Lucky Wishing Wall located just inside the Paradise Garden area. This free activity allows guests to write their wish onto a provided Mickey-shaped paper and tie it to the wishing wall. Chinese Calligraphy. Pick up a Chinese calligraphy sample by local artisans from the Chinese Cerritos School. Face Painting. There is also complimentary face painting for guests of all ages. You’ll have your choice of 5 different images that can be painted on your cheek or forearm. Naturally this is a very popular activity (free at Disney!) so line up early in the day. Trips With Tykes Tip: Note that some of these Lunar New Year activities close at 5 pm, so be sure to carefully time your visit. If you can only see one thing during the Lunar New Year celebration, do not miss this incredible showcase! Dozens of dancers, drummers and characters perform in this street party-style procession. This celebration takes place in front of the entrance to the Paradise Garden Grill. Drummers and flag-bearers lead the parade. Parasol dancers, ribbon-twirlers and an impressive dragon dancers celebrate the arrival of Mulan and her dragon friend Mushu to the Lunar New Year celebration. Goofy is here too, dressed as the “god of Good Fortune”. The costuming is beautifully detailed, music is fantastic and everything is bright and colorful. Mulan’s Lunar New Year Procession occurs several times daily, so be sure to check your Times Guide. This show is standing-room only and space is limited. I recommend arriving early so you can get a good view of the spectacle. Multicultural performances are scheduled at different venues throughout the day during the Lunar New Year celebration. I had the opportunity to watch several of the shows and can tell you that they were of excellent live-theater caliber. In the Paradise Park area, the GuGu Drum Group from Shanghai offers synchronized drum rhythms. Their incredible costumes and percussive sounds combine for a show that is truly can’t-miss. Arrive early to get an up-close seat on the steps. You’ll be able to hear the drums from far away but you’ll love sitting close to the action. The performers movements are definitely part of the storytelling along with the songs. I also had the chance to listen to the sounds of Dat Nguyen from Vietnam at the Paradise Garden Bandstand. This award-winning guitarist played a combination of traditional and original compositions with guitar, lute, flute and melodica. Grab an authentic Asian meal from the Paradise Garden Grill, then sit back in the shady area and enjoy the show! No special event at Disneyland is complete without some unique and awe-inspiring food. For Lunar New Year, Authentic Asian foods are available at various marketplace kiosks throughout the festival area. Marketplaces focus on Chinese, Korean and Vietnamese dishes in a smaller sample size. This allows you to taste several dishes from the various marketplaces including savory, spicy and sweet flavors. There are also alcoholic beverages including several Asian lagers and a Plum Wine Cocktail. You can find larger entrees like Cá rô phi chiên giòn (crispy tilapia) and Phở Bò (beef noodle soup) at the Paradise Garden Grill dining location. The Kimchi Bokkeumbap (Kimchi-vegetable fried rice) was delicious and not too spicy for those who aren’t accustomed to Korean dining. Grab a package of Five Spice Peanut Brittle from the China Marketplace – it’s a delightful treat and great souvenir to take home! Commemorate your visit to the Disneyland Lunar New Year festivities with a Lunar New Year themed souvenir. Guests were lined up during my visit to pick up these limited souvenirs including trading pins, lucky red envelopes and home decor items. Minnie Mouse Ears headband made over for Lunar New Year and t-shirts celebrating the festivities seemed to be the popular picks. There are special kiosks along the parade route with Year of the Dog merchandise, which can also be found at Elias & Co.
As night falls, the Paradise Pier area sparkles with a nighttime spectacular. The 6 minute “Hurry Home” plays immediately before the traditional World of Color evening show. Hurry Home features Mulan, Mushu and a little lantern. There are traditional elements relating to Lunar New Year celebrations, including all of the delightful foods! The musical composition played during Hurry Home was originally played for the opening ceremony of Shanghai Disney Resort. For your best view of World of Color and the limited-time Hurry Home show, be sure to pick up your World of Color FastPass early in the day (remember: Maxpass is not available for World of Color. You need to pick up a traditional paper Fastpass in person). You can also purchase a dining package that includes a World of Color FastPass with excellent standing-room viewing. The World of Color dessert party is available as well, with seating and a delightful array of sweet treats. Visiting Disneyland with kids during Lunar New Year or any time of the year? Don’t miss out on major savings from trusted Trips With Tykes partner, Get Away Today, where you can buy any multi-day tickets or Disneyland vacation packages at a discount. Use promo code TYKES10 for an extra $10 off all package stays of 2 nights or more. About the author: Contributing author Julie Bigboy is a San Diego native who calls Disneyland her second home! 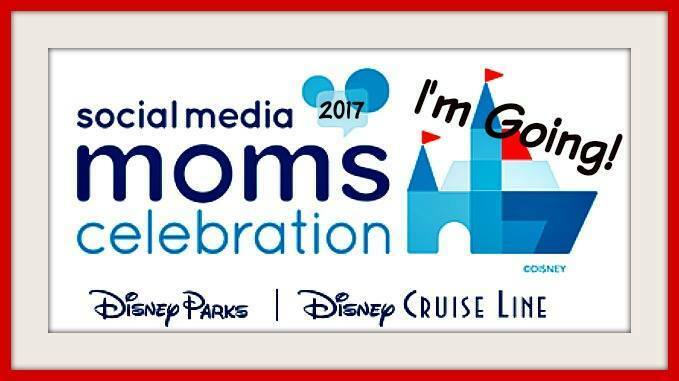 She is owner of the site Mom Rewritten, as well as contributing author at DisneyBaby and TravelingMom. Disclosure: Disneyland provided Julie with complimentary tickets and hotel accommodations to cover the grand opening of Lunar New Year as a contributor for Trips With Tykes. As always, all opinions are my own and all opinions are her own too!